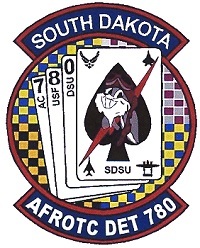 Welcome to Air Force ROTC Detachment 780 in Brookings, South Dakota. As an Air Force ROTC Cadet at South Dakota State University, Dakota State University, Augustana University, or the University of Sioux Falls, we are proud to offer you an exceptional opportunity to embark on a positive and life-changing journey in the United States Air Force. Whether you are a high school senior, matriculating college freshman, or have already completed some college, we're looking for motivated achievers willing to work hard and learn the skills needed to master the balance between academics, physical fitness, cadet wing participation, and community service. Our cadet wing is full of responsible citizens ready to answer the call to duty to defend the United States and protect its interests through air, space, and cyberspace power, and we can always make room for one more future Airman! 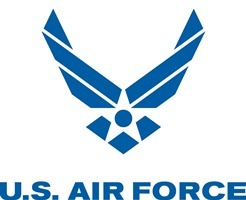 Our Air Force cadre are dedicated to recruiting, training and retaining our nation's best and brightest young men and women to serve as commissioned officers. If there is anything we can do to enhance your knowledge of AFROTC and our detachment, please contact us at 605-688-6106 as soon as possible. South Dakota Gov. Kristi Noem will visit the South Dakota State University campus April 15 to honor all veterans and recognize the achievements of the U.S. Army and U.S.
Gov. Dennis Daugaard came to the South Dakota State University campus Wednesday to honor all veterans and recognize the achievements of the U.S. Army and U.S.